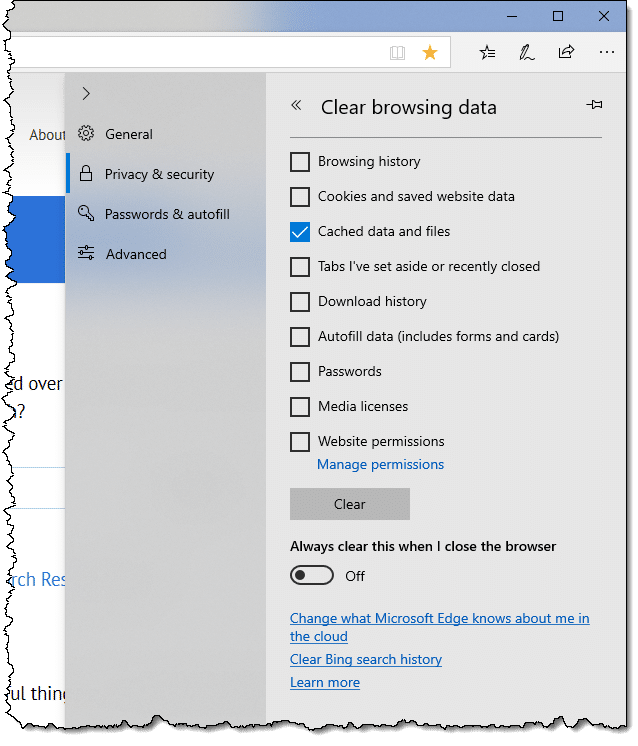 How Do I Clear The Browser Cache in Microsoft Edge? - Ask Leo! Clearing the Edge cache is a simple process. While you're clearing the browser cache you can also clear a few other items. 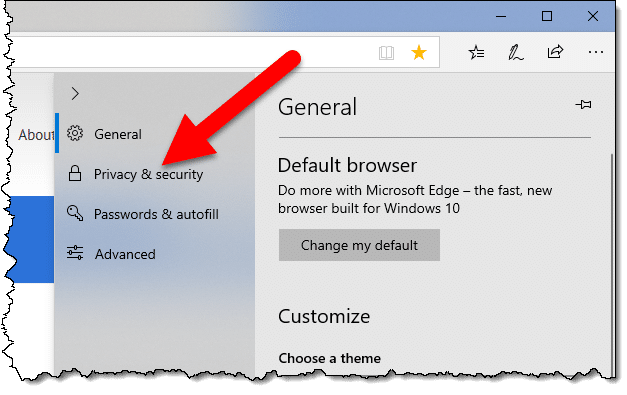 Like every other browser, Microsoft Edge, the default in Windows 10, has a cache. And, like every other browser, sometimes that cache can get “confused”. Type CTRL+SHIFT+Del to go directly to the Clear browsing data menu, below. Alternately you can navigate to the dialog by clicking on the ellipsis (the three dots) at the far right on the Edge menu bar, and then on Settings. In the resulting menu, click on Privacy & Security. Click on Choose what to clear. 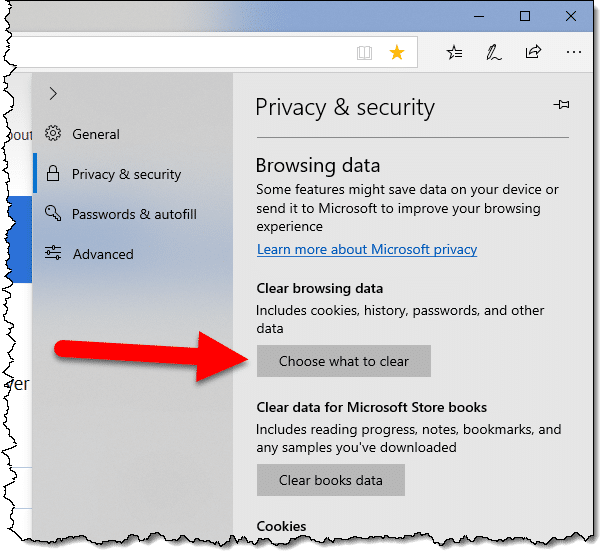 In the Clear browsing data menu, make sure that “Checked data and files” is checked. This represents the browser cache. You can check other items in the list as you like if you want these cleared as well. Edge’s cache has been cleared. You generally won’t need to clear Edge’s cache. When all is working properly Edge will manage the cache, making room as needed. Clearing Edge’s cache is a diagnostic tool you might use when things don’t seem to be working properly. 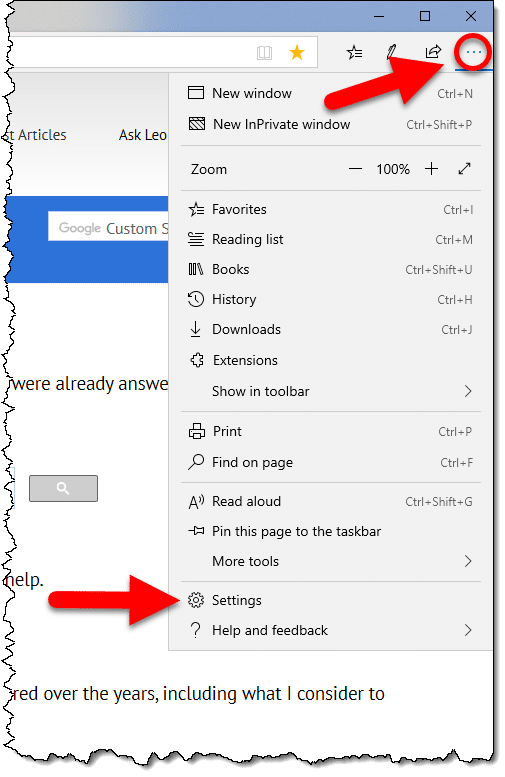 For example if pages aren’t displaying properly, or entirely, or just seem excessively slow, or otherwise broken, clearing the browser cache is an easy first step. It harms nothing, and might fix things. « Previous post: How Do I Get Rid of Ask.com?